Nylon Bag. Convenient and functional. 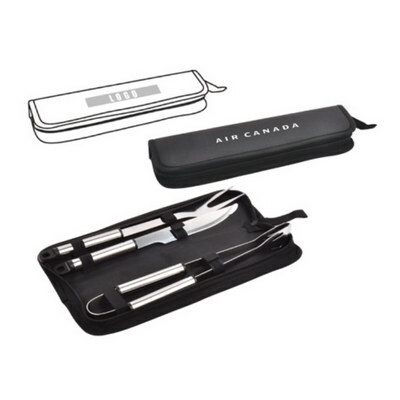 Includes 1 pair of BBQ tongs, fork and knife. All included in black zipper case. BLACK. Product Size: 370Lx90Wx40D mm. Print Size: 30Hx150W mm. Price includes : Print Up to 1 colour. Setup is additional. Please contact your sales representative for a final quote.